Motor Racing Network pit reporter Steve Post, also the co-host of MRN.com’s weekly “Fast Food” program during the NASCAR season, will be featured in an upcoming episode of “Diners, Drive-Ins and Dives” on the Food Network. The show, titled “Soup, Salad and Seafood,” is hosted by Guy Fieri and will air Monday, Dec. 30, at 10 p.m. (EST). It was taped in October at “PotPie,” a home-style restaurant in Kansas City, Mo. Post says next week’s program is an outgrowth of a friendship he and Fieri have struck up in recent years. Their schedules merged again this year, in early October. 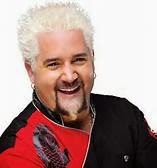 Fieri was in the Midwest to tape next week’s show and Post was on his way to Kansas Speedway for the Sprint Cup Series race. “Fast Food,” MRN.com’s online tailgate party, is streamed live each Thursday during the NASCAR season, with Post and co-host Woody Cain searching for the best trackside recipes. The show is part of Motor Racing Network’s exclusive lineup of online programming produced by Craig Moore and available for download at www.MRN.com. The network’s full schedule of webcasts is also available through AudioNow simply by dialing 1-832-999-1717 from any telephone. NASCAR confirmed today that it has finalized its aerodynamic specifications for Speedweeks 2014 at Daytona International Speedway. The sanctioning body said that spoiler height for next month's Sprint Cup Series test, the 2014 Daytona 500 and all associated Speedweeks events for the Sprint Cup Series cars will be 4.5 inches; 1/2 inch taller than last year. That taller spoiler should provide more rear down force, helping to stabilize the cars. NASCAR recently announced a new aero package for all tracks other than the superspeedways. Merry Christmas, Happy Holidays and sincere thanks for a tremendous 2013 season from Dave, Kelli and all your friends at GodfatherMotorsports.com! Bill Elliott has a big place in the history of racing at Daytona International Speedway. He is a two-time Daytona 500 champion and the record holder for the fastest lap around DIS in a stock car with a speed of 210.364 mph. On Friday, the next chapter in the Elliott legacy at the “World Center of Racing” began as Elliott’s son Chase took his first laps around the storied 2.5-mile tri-oval as part of the three-day ARCA Racing Presented By Menards test session. Elliott is among the approximately 40 drivers that are taking part in the three-day test session that teams are using to prepare for the Lucas Oil 200 Presented By MAV TV American Real on Saturday, Feb. 15, part of Budweiser Speedweeks 2014. Bill Elliott is in attendance for the test and Chase plans to pick his brain when it comes to drafting. 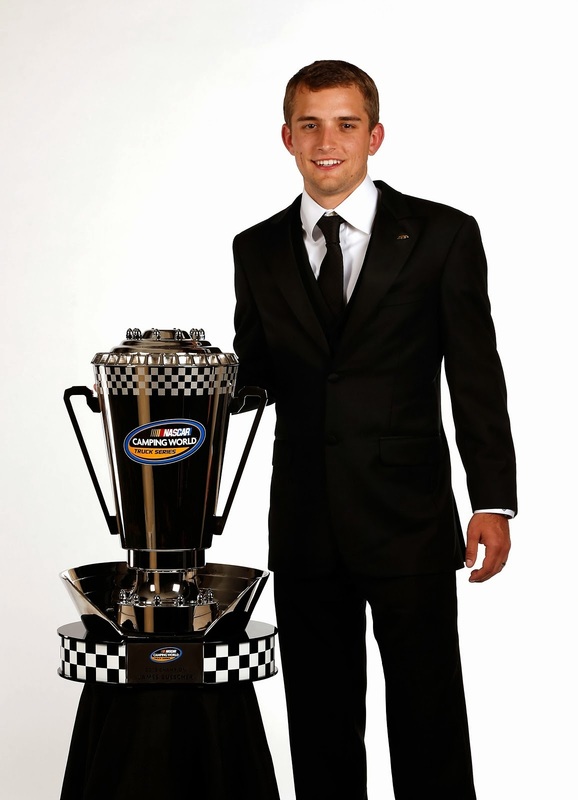 The 18-year-old Elliott of Dawsonville, Ga., is one of the rising stars in stock car racing. 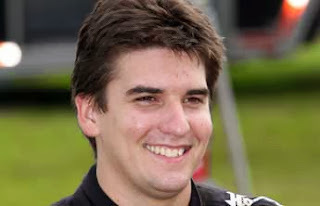 He is a developmental driver for Hendrick Motorsports and has been competing in the NASCAR K&N Pro Series, ARCA and the NASCAR Camping World Truck Series. In 2013, he accomplished some impressive achievements. In the NASCAR Camping World Truck Series, he made nine starts and posted five top-five finishes, including becoming the youngest winner in series’ history with a surprising victory at Canadian Tire Motorsport Park. He also became the youngest pole winner in the series’ history at Bristol Motor Speedway. In ARCA, he became that series’ youngest winner at Pocono Raceway in June. Elliott’s plans for the 2014 season have not been finalized but he does have plans to compete in the Lucas Oil 200 Presented by MAV American Real, the 80-lap, 200-mile race that is held prior to The Sprint Unlimited. “To finally be able to come down here and be a part of this is pretty neat,” Elliott said. ARCA testing continues through Sunday and is open free to the public with access to the Oldfield Grandstand through the lobby of the Daytona International Speedway Tours and Ticket Building. 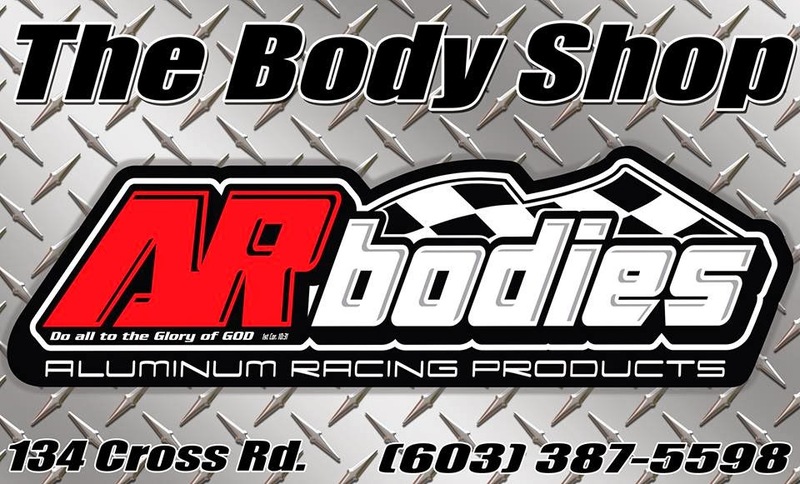 Veteran motorsports professional – and longtime friend of Godfather Motorsports -- Norm Desjardins has announced the opening of The Body Shop, a new company servicing auto racers throughout New England. His facility is located at 134 Cross Road in Tamworth, New Hampshire. The Body Shop will focus on providing oval track and road racing enthusiasts with the complete line of Aluminum Racing Products auto racing bodies and accessories. Better known as ARbodies, the Greenbrier Tennessee based company has been in the business of manufacturing a complete line of racer friendly composite silhouette bodies for motorsports since 1982. Desjardins has been active in the auto racing arena for 47 years and has owned or managed a variety of motorsports related businesses including NRP Race Cars, Quint Boisvert Racing, and BSR Products in Mooresville North Carolina. The Body Shop is open weekends during the off season and other times by appointment. Like the company on Facebook at The Body Shop – AR bodies for motorsports. The complete ARbodies product line can be viewed at www.arbodies.com . Email arpnorm@hotmail.com or dial (603) 387-5598. Michael Waltrip Racing announced today that Billy Scott will serve as Brian Vickers’ crew chief on the No. 55 Aaron’s Dream Machine Toyota in the 2014 NASCAR Sprint Cup season. Scott, 36, began racing motorcycles as a 5-year-old and stock cars when he turned 15. He worked in the truck series as a mechanic before he returned to college to obtain an engineering degree. After graduating in 2005 Scott worked at Robert Yates Racing and began as an engineer at MWR in 2008. He has served exclusively as the No. 55 team’s lead engineer the last two seasons. Scott Miller, MWR’s Executive Vice President of Competition, performed crew chief duties on the No. 55 since Rodney Childers departure in August. Miller will return to overseeing all of MWR’s competition effort, which includes the No. 55, Clint Bowyer’s No. 15 5-hour ENERGY Toyota and the No. 66 Toyota shared by Waltrip and Jeff Burton. Vickers raced the No. 55 on a part-time basis for MWR in 2012 and 2013. He posted his third career victory at New Hampshire on July 14. In August, Aaron’s announced a multi-year agreement to sponsor Vickers in the No. 55 beginning at the Feb. 23 Daytona 500. Aaron’s will sponsor each race during the length of the agreement. Dover International Speedway and American Tower, Inc. have announced a new partnership to install a Distributed Antenna System at the track prior to Dover’s spring race weekend in 2014. The DAS will improve cellular telephone service and increase capacity for all participating carriers on event weekends. The DAS — a series of hundreds of antennas — will be installed strategically throughout the facility, including the grandstands, FanZone, Monster FunZone, Hospitality Tent Village, Victory Plaza and within Dover Downs Hotel & Casino. The DAS will allow mobile devices to connect to one of its hundreds of antennas in the venue, an upgraded alternative to relying on the external networks of the wireless carriers, which become overburdened with a dense population concentration at the track on event weekends. NASCAR returns to Dover International Speedway May 30-June 1, 2014 for the June 1 NASCAR Sprint Cup Series race, the May 31 NASCAR Nationwide Series race and the May 30 “Lucas Oil 200” NASCAR Camping World Truck Series race. Racing comes back again in the fall for the Sept. 26-28, 2014 weekend, including the Sept. 28 “AAA 400” NASCAR Sprint Cup Series race, the Sept. 27 NASCAR Nationwide Series race and the Sept. 26 “Drive Sober 150” presented by the Delaware Office of Highway Safety NASCAR K&N Pro Series East race. As part of the revamped Glory Road set to debut on Jan. 11, the NASCAR Hall of Fame announced the eighth of nine exclusive sneak peeks included in the exhibit. Fred Lorenzen's 1966 No. 26 Ford Galaxie will join the 18 historic cars that will comprise the exhibit. Fred Lorenzen drove the No. 26 Ford for Junior Johnson at the Dixie 400 at Atlanta International Raceway (now Atlanta Motor Speedway) on Aug. 7, 1966. On the heels of Ford Motor Company boycotting NASCAR, Johnson built this specially designed Ford and signed Lorenzen as the driver in an attempt to lure Ford back into the sport. The car was painted yellow and had a dropped nose, chopped roof and raised rear quarter panels resembling a banana. Lorenzen qualified third and was leading midway through the race when a front hub broke sending the car into the wall and out of the race. When Lorenzen crashed, a journalist said, “It’s pretty hard to drive a banana at 145 miles per hour.” The nickname stuck, and the car has been known as the “Banana Car” ever since. This Ford ranks as one of the most controversial stock cars in NASCAR history. Its radical body design was used in only one race, but it brought attention to the need for body templates, which have been used in the NASCAR inspection process ever since. Glory Road, which features 18 historic stock cars encircling the Great Hall, has served as one of the Hall’s most prominent focal points since opening. Speedways from across the country are illustrated here as well, where guests can touch the texture of various tracks and feel the intense banking that drivers face week-to-week. Glory Road 2.0 will see 18 new cars that reflect the six generations of premier series race cars that have been driven and built by some of the sport’s most celebrated drivers, owners and mechanics. Already announced as part of the exhibit are Buck Baker's "Black Widow" 1957 Chevrolet, Jeff Gordon's 1994 Chevrolet Lumina, Tony Stewart's 2011 Chevrolet Impala, Ned Jarrett's 1966 Ford Fairlane, Jimmie Johnson's 2006 Chevrolet Monte Carlo SS, Bobby Allison's 1973 Chevrolet Chevelle and Rusty Wallace's 2000 Ford Taurus. Sharp Gallaher Racing laid off virtually all of its employees yesterday in the aftermath of an apparent dispute between partners Eddie Sharp, Jr. and Bill Gallaher. SGR employees were informed yesterday that the team is shutting down, and all but one employee was reportedly laid off. Multiple sources say the shutdown occurred after Gallaher informed Sharp that his services would no longer be required. Sources close to the situation say the team may subsequently be reopened under Gallaher’s sole ownership. Sharp has crafted a lengthy resume in the sport. He formed Eddie Sharp Racing in 2005 and quickly became one of the dominant forces in ARCA Series racing. He won the 2009 ARCA championship and finished second in 2007, 2008 and 2010, winning a total of 19 races. He moved to the NASCAR Camping World Truck Series in 2011 after purchasing many of the assets of Kevin Harvick, Inc., and won a pair of races in 2012 with drivers Justin Lofton and Cale Gale. The team fielded Camping World Truck entries this season for a number of different drivers, including Lofton, Austin Dillon, Max Gresham and Daniel Hemrick. 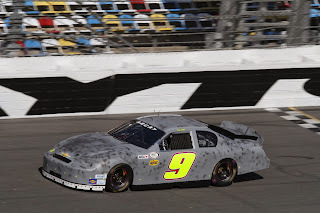 SGR finished a season-high third with Gresham at Charlotte Motor Speedway in May, Lofton finished fourth in the 2013 season opener at Daytona International Speedway. Sharp was unavailable for comment today, attempts to contact Gallaher were unsuccessful . 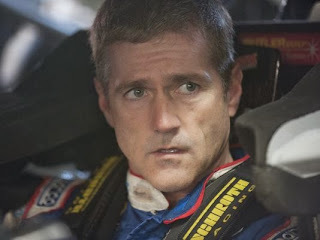 Phoenix Racing announced today that Bobby Labonte will drive a second car for the team in the Daytona 500 on February 23. The move reunites the 2000 NASCAR Sprint Cup Series champion with Phoenix Racing chairman emeritus, James Finch, for who he drove in 13 races in 2010 and one race in 2013. Harry Scott, Jr., who purchased the team from Finch in 2013, said, "James continues to be a valuable part of our team and when he came up with the idea of running Bobby in a second car, I jumped at the opportunity to bring him back into the fold. 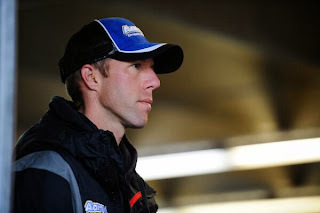 Bobby is a veteran driver that can also provide valuable insight and leadership for Phoenix Racing." "I'm thrilled to be headed back to Daytona with Bobby Labonte," said Finch. "I thank Harry Scott for this opportunity. He knew I would have to be weaned off racing. I can't quit cold turkey." "I am grateful and excited to return to Daytona with Phoenix Racing," said Labonte. "The Daytona 500 is obviously a special event for everyone involved in the sport. I can't wait to get back in the car for my 22nd Daytona 500." Labonte, who will run a number of races for Phoenix Racing this season, has won 21 NASCAR Sprint Cup Series races in a career that began in 1991, along with 115 Top-5 and 203 Top-10 finishes. The team will provide additional information in the coming weeks about a planned car number, crew chief and sponsors. NASCAR Vice President of Innovation and Racing Development Gene Stefanyshyn spoke today about the new 2014 Sprint Cup Series rules package, saying today’s announcement was the first step in an ongoing effort to improve on-track competition. The new package specifically mandates static ride height settings, obsoleting the often-troublesome pre- and post-race front height rules. Additionally, the 2014 rulebook will require a square leading edge on the splitter, side skirt and rear fascia adjustments, an eight-inch rear spoiler and a 43-inch by 13-inch radiator pan. While Stefanyshyn said NASCAR is hopeful that the new mandates will improve competition, he cautioned that today’s announcement is only a small part of the overall solution. 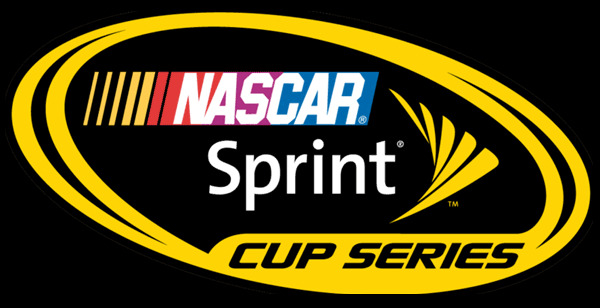 NASCAR delivered its 2014 NASCAR Sprint Cup Series rules package to race teams today, after a series of tests and considerable input from around the industry. Changes to the package include statically setting the race car ride height and eliminating pre- and post-race front height rules and inspections. Additionally, the 2014 package includes a square leading edge on the splitter, side skirt and rear fascia adjustments and an eight-inch rear spoiler. Finally, a 43-inch by 13-inch radiator pan will round out changes for 2014. “It was important to get the final pieces of the rules package to teams as quickly as possible following the final tests last week,” said Gene Stefanyshyn, NASCAR vice president of innovation and racing development. “Throughout the process, we gained valuable data that informed many of the changes for 2014. This data will prove useful as we continue to evolve the racing product into the future. The first race featuring the new package will be at Phoenix International Raceway on March 2. This package will not be utilized for restrictor-plate races, including the 2014 Daytona 500 on Feb. 23. 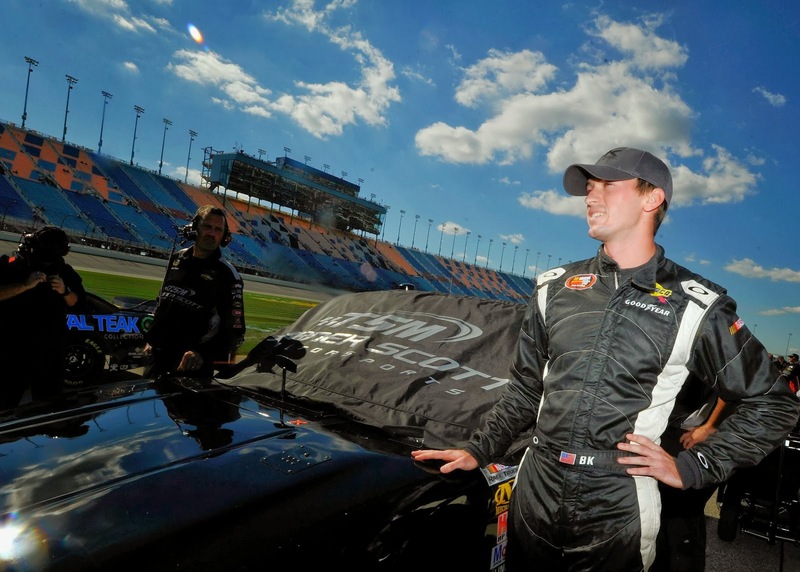 Turner Scott Motorsports has announced the addition of Ben Kennedy to its 2014 NASCAR Camping World Truck Series roster. The 21-year-old will drive a full-time championship campaign while competing for Sunoco Rookie of the Year honors behind the wheel of the No. 31 Chevrolet Silverado. Michael Shelton, who led the No. 31 team to TSM's first championship in 2012 with driver James Buescher, will continue his role atop the pit box. Kennedy made his NCWTS debut for TSM in 2013, earning a best finish of fourth at Martinsville Speedway. Kennedy, who began his racing career on the short tracks of central Florida, has Pro-Truck championship titles at both Orlando Speedworld and New Smyrna Speedway, which he earned in 2009, followed by the Super Late Model championship at Orlando Speedworld in 2010. The great grandson of NASCAR founder Bill France, Sr., Kennedy made his touring series debut in the NASCAR K&N Pro Series East in 2010. 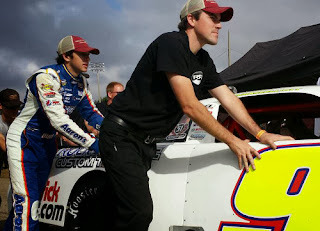 Kennedy began racing full time in the NKNPSE in 2011. In 2012, Kennedy competed in the first NASCAR-sanctioned Euro Racecar Series event, winning the event at Tours Speedway, the first NASCAR race held on an oval in Europe. Kennedy experienced his most successful NKNPSE season to date in 2013, finishing fourth in the Driver Point Standings on the strength of two wins, one pole, three Top-5 and nine Top-10 finishes in addition to being crowned as the series' Most Popular Driver. Kennedy was selected for the NASCAR Next program in 2013, an initiative to spotlight the sport's up-and-coming stars. The Daytona Beach, Fla. native is also completing his Sports Management degree at the University of Florida. "I'm really excited about the opportunity to be in Turner Scott Motorsports' No. 31 truck for 2014 and to be able to work alongside Michael Shelton and a very talented crew," said Kennedy. "It will be a great year and I hope to really learn a lot in the series and compete for wins and Rookie of the Year. It's going to be a blast to work with such great people; I can't thank everyone I've worked with in the past enough for getting me to this point in my career. A big 'thank you' to all my fans for always sticking behind me." Turner Scott Motorsports has earned two championships in the last two seasons, beginning in 2012 with Buescher's NCWTS title. TSM captured the NKNPSE championship in 2013 with Dylan Kwasniewski behind the wheel. In 2013, TSM's Truck Series program totaled four wins, 10 poles, and finished the season with all three of its full-time trucks in the Top 10 for the second-consecutive season. "We are very excited to have Ben [Kennedy] running full time for us in the Truck Series," said team co-owner Harry Scott Jr. "I believe we all have seen his potential over the last few years and we're looking forward to seeing all that he can accomplish while running for us full time. He's an impressive young man who is not only a talented racer, but also very smart and very driven. Turner Scott Motorsports has always been about developing talent for the future of our sport, and Ben is very representative of that. I know that everyone in our organization, especially the No. 31 crew, is looking forward to working with Ben and having a very successful year." Turner Scott Motorsports has released 2012 Camping World Truck Series champion James Buescher from his contract, freeing Buescher to accept a full-time 2014 NASCAR Nationwide Series ride with RAB Racing with Brack Maggard. Buescher finished third in the Truck Series championship standings last season, with a pair of wins at Michigan and Iowa, four Top-5 and 14 Top-10 finishes. Both RAB and Turner Scott field full-time Nationwide Series teams, but Buescher said RAB’s strong ties to Toyota and the Toyota Racing Development engine program offer him a better career path. Turner Scott Motorsports is owned in part by Buescher’s father-in-law, Steve Turner, and the former Truck Series champion said all parties worked diligently to separate business from family. “Was it complicated? Yes and no,” he said. “It’s hard when you’re tied-in with family, but everyone knew it was coming sooner or later. Turner Scott Motorsports does not have a Sprint Cup Series team, and everyone knows that my ultimate goal is to be a Cup Series driver one day. “Everyone is fine with this decision and agrees it’s the best opportunity for me to take the next step in my career." Turner also commented on the move, saying, "I have always been supportive of James and I am very proud of everything that he has accomplished while driving for our team. I am excited for James and his new opportunities, and everyone at TSM would like to wish him the best in his future endeavors. I will always continue to support him and cheer him on as a member of my family, but his departure from Turner Scott Motorsports does not change the passion I have for this team. I love racing and have no plans to diminish my role as a co-owner of our organization. I am looking forward to a successful season in 2014 with a very strong lineup of drivers." An announcement on sponsorship for Buescher's new team is expected in the near future. Iowa Speedway today introduced Jimmy Small as its new track president. Small’s appointment at the Iowa Events Center in Des Moines comes on the heels of NASCAR’s announcement two weeks ago that it had purchased the Speedway. Several of the sport’s top executives along with state and local dignitaries were present for the announcement. 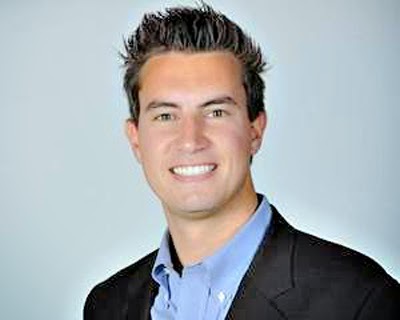 Small, 28, joins the Speedway after six years with NASCAR in various business-building capacities. 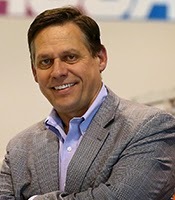 Most recently, he served as senior manager for team marketing services within the NASCAR Industry Services department out of the Charlotte, N.C., office. 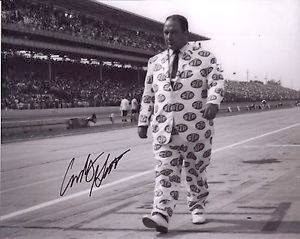 In that role, he was the business and marketing liaison with teams and drivers in all three national series. Additionally, he helped manage the implementation of the NASCAR Industry Action Plan, including several key initiatives targeting Event Management and Entertainment, Youth & Gen-Y Marketing and Driver Star Power. When Small started in the sport in 2008, he worked out of NASCAR’s Daytona Beach, Fla., headquarters coordinating event weekends with tracks, television partners and teams. Small is a Detroit native and graduate of the University of Notre Dame. He was named as a member of Sports Pro Magazine’s The 10 NEXT Class of 2012, an honor recognizing 10 sports executives under the age of 30. The track currently is gearing up for its slate of three NASCAR race weekends during the 2014 season. The Speedway’s season opens May 17-18, with the NASCAR K&N Pro Series East versus West Challenge on Saturday night followed by a 250-lap NASCAR Nationwide Series race on Sunday. The weekend of July 11-12, Iowa Speedway will host a Friday night NASCAR Camping World Truck Series event and an IndyCar Series race on Saturday. A second NASCAR K&N Pro Series East versus West Challenge race is scheduled for Friday, Aug. 1 followed by another 250-lap NASCAR Nationwide Series event Saturday night. Season ticket holders may renew their tickets for the 2014 season, and will have an exclusive right to secure their current seats until Sunday, Jan. 5. All season tickets, with prices starting at $95, will include a guaranteed seat location, complimentary Casey’s Fan Walk pass and an opportunity to participate in pre-race ceremonies. Season tickets, parking passes and onsite camping options are available online at www.iowaspeedway.com, or by calling the toll-free ticketing hotline, 866-RUSTY-GO (787-8946). Single-event tickets and weekend packages will become available on Monday, Jan. 6. NASCAR was back on track at Charlotte Motor Speedway today to gather data for the development of the NASCAR Sprint Cup Series intermediate-track package for 2014. A total of 30 race teams were on site in Concord, N.C., to confirm several changes to the Gen-6 car in an effort to improve racing at intermediate tracks in 2014. The test included several physical changes to the car such as ride heights, splitters, skirts and spoilers that were established during the October test. NASCAR, the manufacturers and the teams worked cohesively to identify and implement each of the potential changes. The overall goal for the new package is to help promote more side-by-side racing and passing throughout each race. Stefanyshyn and team were able to test various setups on the Gen-6 car, each supported by data-driven research with specific effects. The 2014 changes will build on a very successful rollout of the Gen-6 race car in 2013. The new car had notable gains in passing throughout the year, shattering 19 track qualifying records and guiding 17 different drivers to victory. 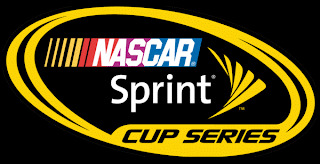 Sixteen teams and 30 drivers were onsite at the track for the final NASCAR test of 2013. More than 140 race-replicating laps were run throughout providing key data to finalize the decision on changes to the Gen-6 car. 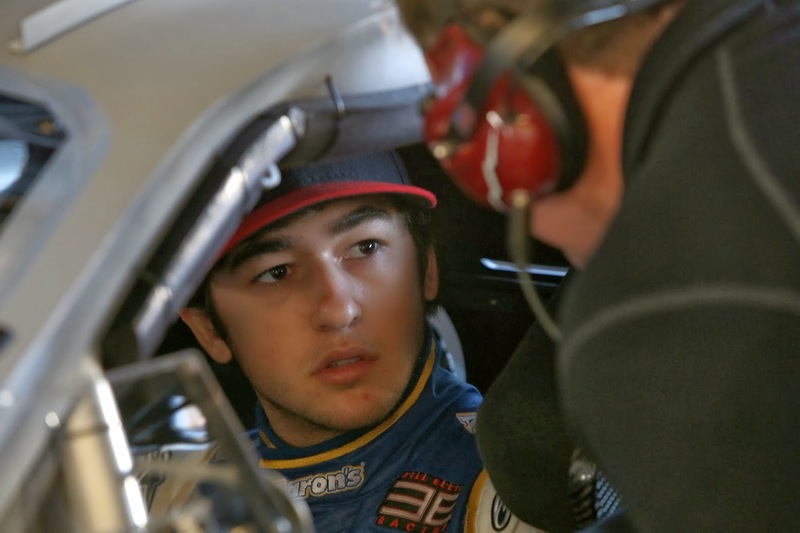 For approximately 30 minutes Sunday night, Chase Elliott was the undisputed king of short track stock car racing. Elliott, son of former NASCAR Winston Cup Series champion Bill Elliott and himself an insanely talented wheel man, became the first driver in history to win the prestigious Snowball Derby at Florida’s Five Flags Speedway, after prevailing in the previous day’s Snowflake 100 Pro Late Model event. And then, it all came apart. 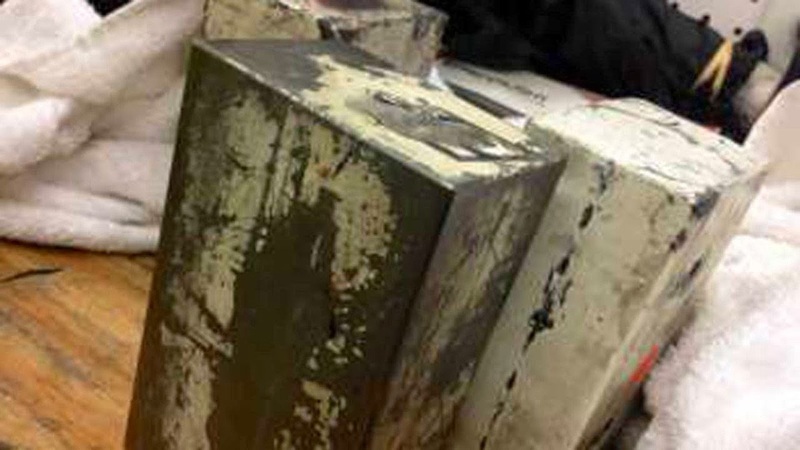 A post-race technical inspection revealed a piece of tungsten ballast attached to the chassis of Elliott’s machine, and with tungsten expressly prohibited in the Snowball Derby rules -- in BOLD FACE TYPE – the violation cost Elliott both his trophy and $20,000 winner’s purse. The disqualification triggered an immediate firestorm of controversy, with some observers questioning whether the infraction was serious enough to warrant stripping Elliott of the win. Others rode to the young driver’s defense, saying he likely had no knowledge of the illegal ballast and supporting his claim that the violation was little more than an oversight. None of that matters to me, and here’s why. In racing, some things are illegal because they give a performance advantage. Some are illegal because they are too costly. Some are illegal because they compromise safety. No matter what, they're all illegal, and in my opinion, that should be the end of the story. I don’t buy the whole, "it was illegal, but it didn't give me an advantage" argument, and neither should you. It's a cheap cop-out used by guys who have just gotten caught with their hands in the cookie jar. The argument that tungsten ballast offers no competitive advantage is also ludicrous, on a number of counts. In many race cars, ballast is inserted into chassis frame rails in blocks that are approximately 2 5/8 inches x 3 5/8 inches. In that configuration, a 25- pound block of tungsten measures approximately 3.75″ long, while 25 pounds of lead is nearly 6.5″ long. Concentrating more weight in less space allows more precise chassis adjustment, and in a division where left-side weight percentage is regulated with a fine-toothed comb, there is no such thing as an inconsequential advantage. Roll center and center of gravity can also be more precisely set with tungsten than lead, giving teams even more of a handling edge. If it truly offers no competitive edge, why would NASCAR Sprint Cup and Nationwide teams with unlimited budgets spend thousands of dollars on tungsten ballast? Clearly, they understand that there’s something important to be gained. If it wasn’t better, it would not have been on Chase Elliott’s car. Bet on that. Here’s another point to ponder. Racers fail post-race inspections all the time, for a wide variety of reasons. Some of infractions are fairly minor, while others are more blatant. Each of those nefarious deeds, however, was undertaken for one simple reason: to make the race car faster. When was the last time you heard of someone getting caught doing something illegal that made their car worse? Never, that’s when! And there’s a good reason for that. 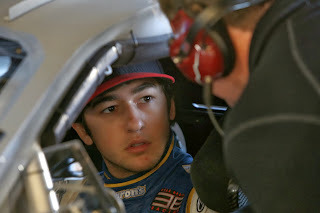 I was not at Five Flags Speedway Sunday, and I know little or nothing about the specifics of Chase Elliott’s violation. But I'll bet dollars against donuts that the tungsten ballast in question was mounted low and to the left, rather than high and right. It was mounted there for a reason, and it did what it was intended to do. Big advantage or small, nothing on these race cars happens by mistake. Some argue that in a Snowball Derby pit filled with $200,000 transporters, a few thousand dollars in tungsten is hardly the end of the world. That may be true, but not one of those high-dollar Toterhomes ever won a race. It may make its owner more comfortable getting to the track, but it does nothing once the green flag flies. Teams don't need a fancy hauler to compete. My Super Late Model team gets to the track in a modest, 24-foot box trailer pulled by a Ford F350 dually. It’s nothing fancy, but it gets us where we’re going every week, while leaving us a little more money to spend on our race car. The problem with a high-buck item like tungsten is that once somebody has it, everybody’s got to have it if they hope to keep up. If I suddenly have to spend $20,000 on ballast for my race car -- instead of melting down used wheel weights from the tire store -- it's going to dramatically hasten my exit from the sport. Nobody can prevent a rich man from spending his own money. But race tracks and sanctioning bodies can -- and should -- prevent him from spending his money in ways that diminish competition or break the rules. Elliott’s car had an advantage, and it was illegal. 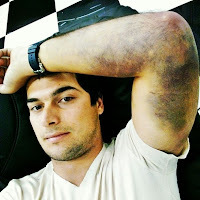 NASCAR Nationwide Series driver Nelson Piquet, Jr. suffered a badly bruised arm in a recent karting crash. The injury is not expected to impact his availability for the 2014 season, and Piquet should be fully recovered in time for SpeedWeeks 2014 at Daytona International Speedway. The second-generation driver posted a photo of the injury on his Instagram account, before returning to his home in Brasilia, Brazil for the holidays. He was unavailable for comment today. Piquet struggled in his inaugural season of NASCAR Nationwide Series competition with Turner Motorsports, managing five Top-10 finishes in 33 starts en route to a 12th-place finish in the championship standings. His best finish was an eighth in the Feed The Children 300 at Kentucky Speedway in late June. No announcement has been made regarding his plans for the 2014 season. Joey Coulter will have a new ride for the 2014 NASCAR Camping World Trucks Series season. Coulter ran the full Truck schedule for Kyle Busch Motorsports last season, finishing 15th in championship points with three Top-5 and five Top-10 finishes, highlighted by a runner-up showing at Kansas in late April. 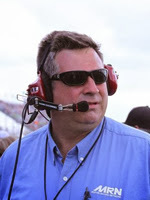 Now, Coulter is set to run the full 2014 Truck Series for a new team owned by Allegiant Air CEO Maurice Gallagher and fielded out of the Coulter Motorsports shops in North Carolina. The team will be sponsored by Allegiant Air, a low-cost airline headquartered in Enterprise, Nevada, just outside Las Vegas. Allegiant Air fielded entries for Spencer Gallagher -- son of Maurice Gallagher – in three Truck Series events this season at Kansas, Texas and Homestead Miami Speedways, with a top finish of 20th in the Lone Star State. Spencer Gallagher will reportedly run a full-time ARCA and part-time Truck schedule in 2014, with Coulter serving as driver coach. Jeff Stankiewicz will reportedly serve as crew chief for Coulter's truck effort. Contacted today for comment, Coulter said the deal is close to completion, with an official announcement possible next week. "It's not a deal until its signed sealed and delivered," he said, "but we're getting close."